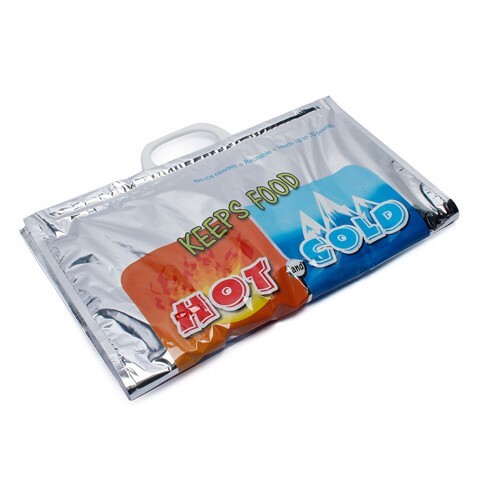 Hot & Cold Foil Bag 41X49Cm. 41 x 49cm. Silver Foil W/White Handle. PET with Foil | EPE | LLDPE. 80G Packaging: Bulk Pack.